This guide aim to give tips, tricks and guidance about how poltergeists works and how to deal with them. Everything you need to get rich and famous killing poltergeist is in this guide. Poltergeists are basically "Bosses". They are powerful, deadly enemies that require a lot of preparation and care before summoning. 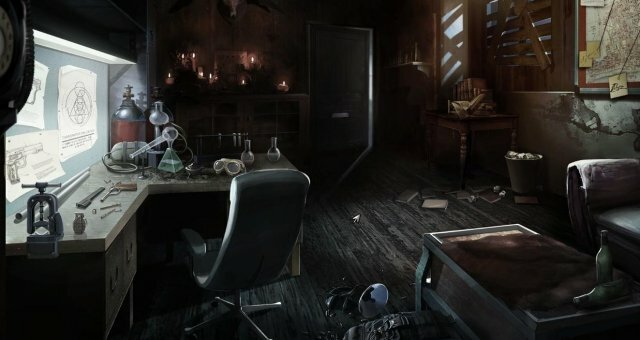 They are encountered only on hunting missions, where you can find plenty of smaller critters and deadly traps that will need to deal with while finding the clues and signs necessary for money and decryptions. Poltergeists battles are activated only when you purposely unleash them. They can however attack you one time as a ghast with a powerful one shot attack after a few minutes into the mission. This haunted spirit with the looks of a women attacks with sonics screams. Slow but can traverse walls and can summon spectral tentacles and smaller spirits. Large spectre that look like a horse. Attack mostly by charging at you with icy attacks and leave trails of oil that slow down movement. The shadow look like a giant spider. It use sneaky attacks and can be very hard to see, mostly right before they attack or after the attack, which leave very little time for you to deal damage. Good firearms. You can use SMG's or Shotguns, both are effective. However, shotguns tend to be slightly better since you can shoot mid-reload and reload progressivly during battles. SMG's tend to deliver greater firepower if you can keep it on target. Good Armor. Light armor is usually more useful since you can dodge much more effectively the attacks, which is often very useful UNLESS you have the appropriate skills for heavy armor, such allowing you dodge and reducing dodge and speed penalties. Good medical items. Medkits are very important to preserve stims for the poltergeist battle, since you cannot use medkits while in combat. Traps and throwables. Traps are crucial for success, while throwable tends to simply give you a small edge. Special ammo. Very important if you want to deal large amount of damage. Clues and signs. The more you have, the better. If you have the skills for it, you can further decrypt traits and weaknesses about poltergeists and critters, while gaining advantages. Also, you gain precious money that will allow you to pay for the traps, ammo and equipment. Knowing where to place traps and also where to begin the poltergeist battle. Money. Obviously. You will need to have multiples traps available, enough ammo and multiples type of each. You never know what type of poltergeist you will encounter, so having the different type of ammo and traps readily available in the van is very important. Now obviously, it require some time and money to properly fight against one. But it will pay off since a vanquished poltergeist reward very large amount of money and experience. Skills are very important for poltergeist battles. They will allow you to use the firearms, gear, traps and medical needed for the difficult battle. Don't forget you can unlearn skills and use the skills points more importants skills. This will allow you to use small advantages against all enemies, including poltergeists. Keen sights is about a large advantage against specific critter enemies. So because of this, Audiophile is more useful, since you can boost weapon damage and critical chances with some of the signs, as well as boosting XP and rare loot chances. This will depend on your personal tastes. But it is important to improve the type of firearm you want to use, since this will allow you to add cheap, but powerful mods on the barrel and sights, which can improve accuracy, damage and critical chances. This is by far one of the most important skills. The medkits are very important since they can potentially heal large amount of health and preserve the stims for the poltergeist battle. This also increase your health by 20. This will decrease the max health lost when using a stim. Also very important, since more use of stims will decrease further the max health each time you use one. So keeping this level as high as possible is crucial since stims will be the only way for you to heal in battle. These are useful only if you plan to use heavy armor. Heavy armor will reduce your mobility, but grant you higher level of protections. This depend on your personnal taste, it's rather optionnal. This is very important, since it allow you the use of protective gear (Such as NV goggles, hazmat boots and Ear protections) against poltergeist and greatly reduce their effectivness against you. This allow you use accessories on gear that will help you further against poltergeist and give various stats boosts. However it cost 2 skill points and found it more optionnal. You can however acquire it if you wish. This skill is extremely important. With it, you can use traps that can deal large amount of damage to the poltergeist and also stun them, which give you a opportunity for even more damage. This one is also optionnal. Throwables are useful in some situations, but i cannot guarantee their effectiveness against poltergeists. Use at your own caution. Gear and equipments give you the protection and resistance necessary for the successful hunt of poltergeists. Body armour can be light or heavy, depending on your skill set and tastes. Heavy armor use is recommended only if you have the heavy armor skills. Otherwise, heavy armor will restrict too much your mobility and prevent you from dodging, which is extremely important to avoid attacks and get out of dangerous zones. The three main headgear you will have access to will be Kevlar helmet, NV goggles and Protective Earwear. It is recommend you have all three of those, since each have a different effectiveness agaisnt a poltergeist, depending on the one you will encounter. NV goggles are extremely useful against the shadow poltergeist. This will allow you to spot him much easier and will help you in dodging the attacks with greater ease. Protective Earwear are very useful against the Banshee and the sonics attacks it use. This will greatly reduce the damage and effects of the sonic attacks. The kevlar helmet give a percentage armor bonus, use it against all other threats and agaisnt the Kelpie. There is two main boots you should have: Military boots, which give a reasonable amount of armor and stability and hazmat boots, which give you protection against Ice and oil, very useful against the Kelpie. These small items will allow you to add accessories to gear, further increasing stats and giving you various boosts, if you have the skill for it. These tripwire are very important to protect you from the ghasts attacks on hunting missions. They are transported alongside the other traps as countermeasures. You always should have at least two of them on each mission, but you can have up to 10 in a single stack. The gas canisters are used mainly against the kelpie. They are triggered by shooting at it with a firearm, which make them explode in a large radius. The EMP traps are used mainly against the banshee. It can be used to stun the banshee, but also kill the smaller spirits it unleash sometimes. They are triggered remotely, if you are close enough and affect a large radius. The UV projectors can be used against the shadow, but also against shadowbeasts, which can stun or kill them. They also are triggered remotely. When placed, you should be cautious of the direction of the headlight, since it will project a large, conic shaped UV light in one direction. Bear traps are cheap and useful against critter, but they are useless against Poltergeists. About medical items, it is highly recommend you get at least the field medkit and the Epinephrine Injector. But the Paramedic backpack is highly useful as well, and you can use Anabol-X if you are short on money. The guns you choose (SMG or Shotgun mostly) will be mostly based on your personal taste. Both can be used effectively and both have the same needs. Be sure to pick the appropriate skills according to your choices. But whenever you can, you should get the best guns available for the category you choosed. Sidearms such as pistols and revolvers are not important. They should be used mostly to breach doors and as a emergency backup. Your main workhorse will and always will be the primary firearm. Is it also highly recommend you get the firearms mods, barrel and sights. They are cheap and easy to get, and will greatly improved the perfomances. For poltergeist hunting, ammo selection is VERY important. Each type of ammo is used against a specific enemy. These is the regular ammo. They are cheap and can be bought in large quantity easily. You always should have these against the critters and usual enemies and have them a large quantity. Against poltergeists, they are weak and should not be used against them. Special ammo MUST be used if you want to do proper damage. So you want to use regular ammo for critter cleaning, then come back to the van to grab specific special ammo, according to the poltergeist type. UV ammo is useful against the shadow poltergeist, but also against shadowbeasts. Also buy them 5 packs. This ammo is useful against the Banshee. Unsure if it's effective against another enemy. 5 packs as always. Before you go into a hunting mission with the purpose of trying to kill a poltergeist, you should make sure you have all the minimum equipment and skills. If you don't have enough money to equip yourself with all three types of poltergeists, try to concentrate on one in particular and equip yourself accordingly. Check the specific poltergeist tab for more info about these. Hunting missions will not be available at the beginning. To unlock them, you will have to progress the story far enough. This ammo deal large amount of damage to Banshees. You should have at least 5 packs of these. Banshees can be stunned by EMP traps. The smaller spectre that they unleash can also be killed with these. You should have at least 2-3 available. 5 is the best number. This will greatly mitigate the sonics attacks. Very important if you want to survive. They scream very violently, affecting you in a radius around her. Getting further away will reduce damage or avoid it. They unleash small spirits that can attack you and swarm you. Use EMP traps to deal with these, it will kill the entire group while stunning the banshee if she is inside the radius. They can rise spectral tentacles from the ground in a zone. EMP traps also affect those i believe, need confirmation. Otherwise, avoid stepping inside these zones. They are rather slow, but are agressive and get throught walls and matter. Best way is to shoot at her while stunning her with EMP traps from a distance. This ammo deal large amount of damage to Kelpies. You should have at least 5 packs of these. Kelpie can be stunned and damaged by gas canisters. You must shoot on them to trigger them, so make sure to place them in a way that they are easy to aim at. You should have at least 2-3 available. 5 is the best number. This will greatly mitigate the oil trails damage and slowness. Very important if you want to survive. They charge at you, knocking you over and dealing ice damage. They leave oil trails behind them that can slow you down and deal small amount of damage. They are fast and agressive and mostly charge at you and run around you.. Best way is to shoot at it while stunning it with gas canister and avoiding the charges and trying to avoid the oil trails. This ammo deal large amount of damage to the shadows entities. You should have at least 5 packs of these. Shadows can be stunned by UV projectors as well as revealing them. You should have at least 2-3 available. 5 is the best number. This will help you spot the Shadows. Very important if you want to survive, since you cannot predict their movements or attacks without it. They charge at you, knocking you over and dealing a good deal of damage. Since they are usually invisible while doing this, this can be hard to counter without NV goggles. They leave large pool of oil/blood that deal damage overtime as long that you stand on it. They are rather fast and sneaky, using tactics to deliver an attack and then retreat to reposition itself and attack from another angle. Do your best to avoid using stims. This is why good medkits are crucial, since you want to keep as much max health and stims for the poltergeist. Watch out for the Poltergeist activity. The ghast can potentially kill you instantly or injure you severly, costing you a stim or a large amount of medkit. When you're done sweeping the house, make sure to decypher all the signs you have and then see what type of poltergeist you're dealing with. If you don't know how to decypher, you can check this guide. Once you know what type of poltergeist you got, you can return to the can and equip yourself accordingly. You can check the specific poltergeist tab earlier in this guide. The best way to place the traps and unleash the poltergeist is in a large area inside is usually the junction between the dining room and the living room and/or lobby. You want plenty of spaces to place multiples traps and move around. Very important: DO NOT place the traps all at the same place. The effects won't stack up and you risk using all of your traps at once. Do your best place to them at a good distance from each other so you can use them one after the other. 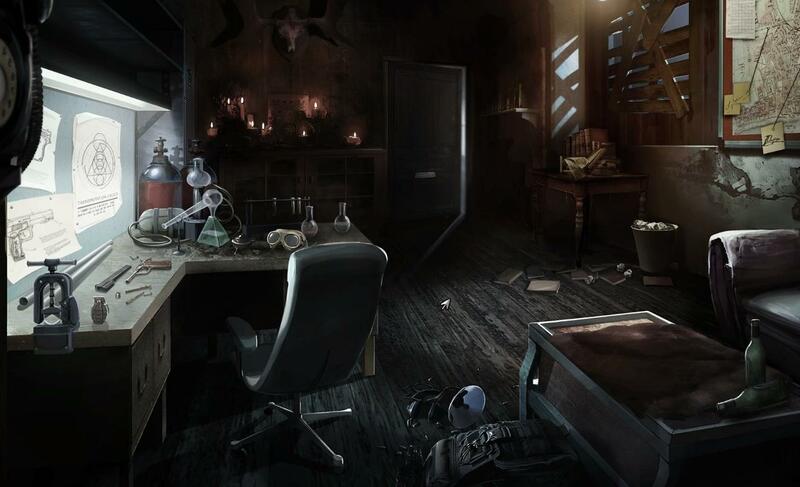 Once you have placed your traps and pick up all the necessary equipment, you are ready to take on the poltergeist. Now come the time for you to deal with the poltergeist. It will be a hard fight, you may die and have to retry again. But you will learn each time and normally, you get some experience and money alongside anyway, covering the cost of the spent traps and ammo. Once you're ready, open your journal and unleash the beast. When the poltergeist spawn in, it will be the moment where you'll see if you're prediction was right. If it's not, bail out! For specifics about how to fight the poltergeist, check the tabs earlier in the guide. But in general, learn the attacks, when to dodge and when to fire and reload. Use your traps wisely. When low on health you use your stims. Written by Capt. Ronald C. Speirs.